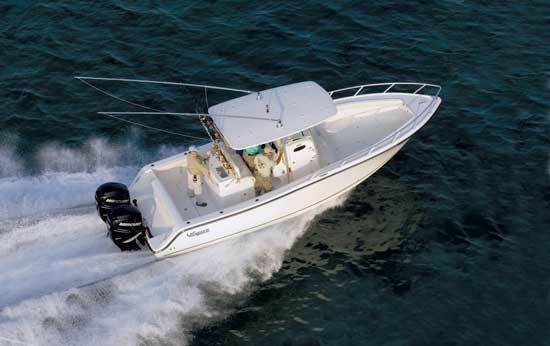 This small boat has legitimate offshore ambitions and capabilities, making it a great all-around fishing platform. 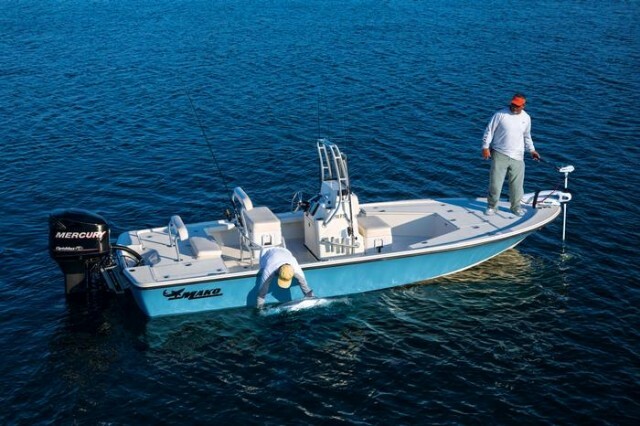 Pop Quiz: The Mako 184 CC is designed to A) catch bay-dwellers like redfish; B) catch inlet inhabitants like stripers; C) catch oceanic predators like mako sharks, or D) all of the above? If you answered D, you got it right. 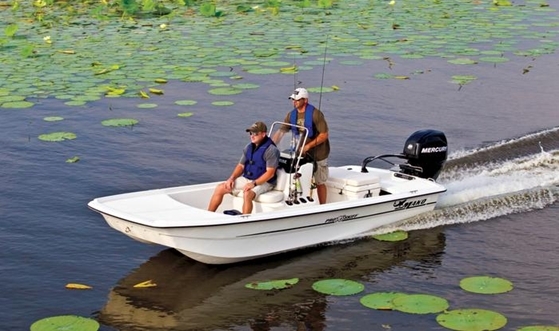 And if you’re looking for a small center-console with big fishing possibilities, the Mako 184 CC is a great choice. 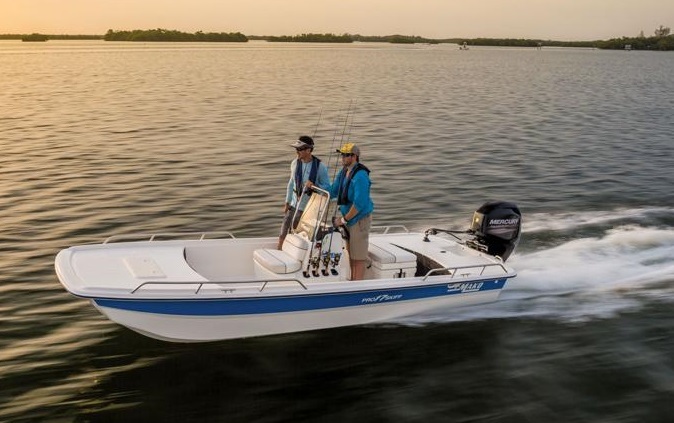 The Mako 184 CC carries 18 degrees of deadrise at the transom, along with other design and construction features that make it a capable, comfortable boat for plenty of fishing conditions. How can such a small craft cover so many angles? It’s the combination of small size and big-water capabilities. Although the boat is only 18’ 4” long it carries a relatively steep 18-degree transom deadrise. That helps it knock down a chop. When I tested the 184 CC, heavy boat traffic and a 10-knot breeze stirred up a confused sea that presented little challenge to this hull. Now consider the whopping-big 51-gallon fuel capacity, and running to hotspots 10 or 20 miles offshore becomes a possibility. Sure, you have to pick your days when you leave land behind in a boat this small, but when the weather cooperates those long runs become very real possibilities. 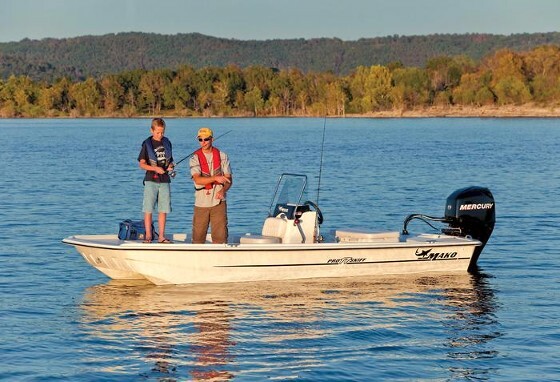 Days spent angling closer to home will be enhanced by a wide range of fishing features, including a 24-gallon livewell located under the forward console seat, a pair of 64-quart fish boxes (under the bowdeck seats), and under-gunwale rodracks. Unfortunately the console isn’t large enough to house a head compartment, though it does support a helm station with enough room to flush-mount a seven-inch chartplotter/fishfinder display. 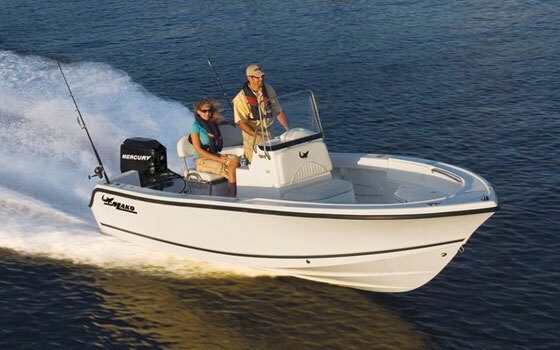 Another thing to love about this boat is the simple and reasonable pricing. 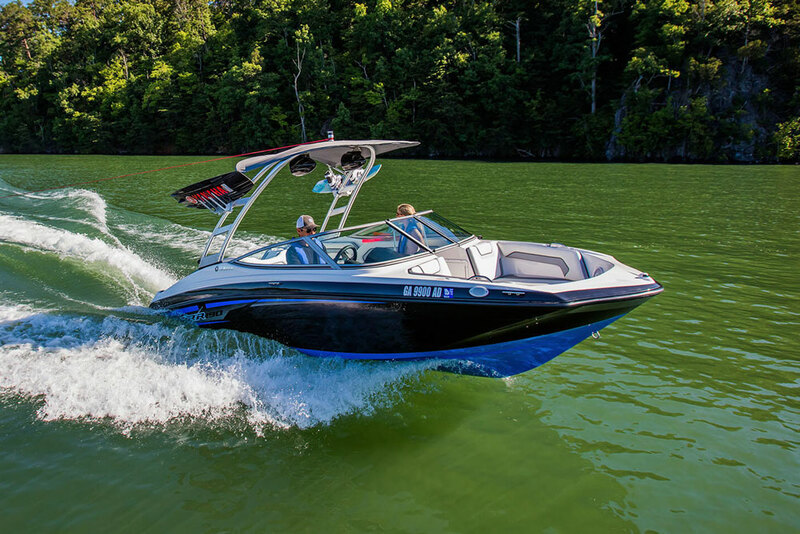 Mako offers the 184 CC at their national “No Haggle No Hassle” price of $23,995, with a 115-hp Mercury Optimax on the transom. That’s plenty of power for a boat of this size, but the cost does go up a hair when you add on a couple of must-haves that are listed as options: a raw-water washdown at $315, hydraulic steering (it’s listed as “mandatory” with 115-hp or more) at $900, and the removable splashwell guard, at $125. Boats this small that are designed to run offshore must, of course, be built tough. No problems here, with all-composite construction including a one-piece fiberglass stringer grid, a chemically- and mechanically-bonded hull-to-deck joint, and foam injected into the spaces in between. A couple of extra touches you’ll spot on this boat include watertight electrical connections and aluminum reinforcement under the deck, for mounting a T-top. Mako also paid a lot of attention to how the 184 CC looks. I was surprised to note that the Mako logo is stitched into the cushions and molded into the standard gunwale-mount rod holders. Nice. The bow rail is the sleek, low-profile grab-rail variety, and switches at the dash are all lighted rockers. 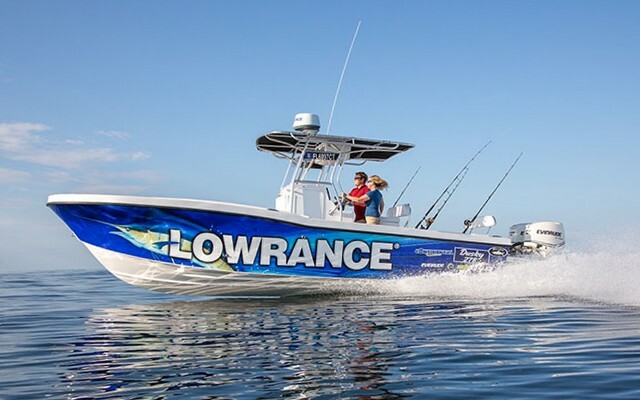 In fact, this boat looks so good that any fish would be proud to meet its end on the decks of the 184 CC—be it an oceanic mako shark, a striper in the inlet, or a bay-dwelling redfish. 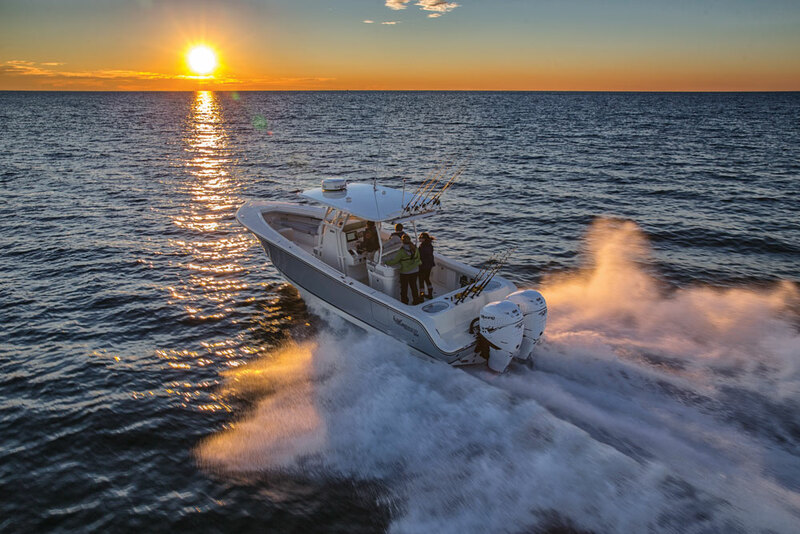 Comparison shoppers will want to see the Scout 187 Sportfish, the Cobia 194 CC, ther Sea Hunt 186, and the Privateer 1900 Atlantic.